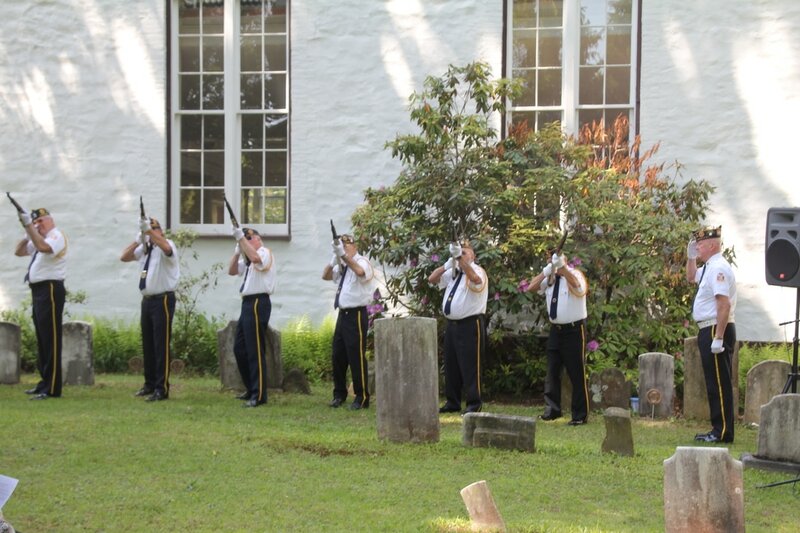 Our chapter, with help from the Rhinebeck Reformed Church and the Columbia Mid-Hudson Valley Chapter, NSSAR dedicated Revolutionary War Veteran markers for 44 patriots buried in the Reformed Church cemetery at the corner of Rt. 9 and South St. in the Village of Rhinebeck on Sunday, May 24th, 2015. Most of these men were Rhinebeck residents and all of them survived the war and died veterans. Two of them are Livingstons and all of them deserve to be remembered. of these 44 heroic souls on Find-A-Grave where you can leave messages and virtual flowers to the Patriot(s) of your choosing. 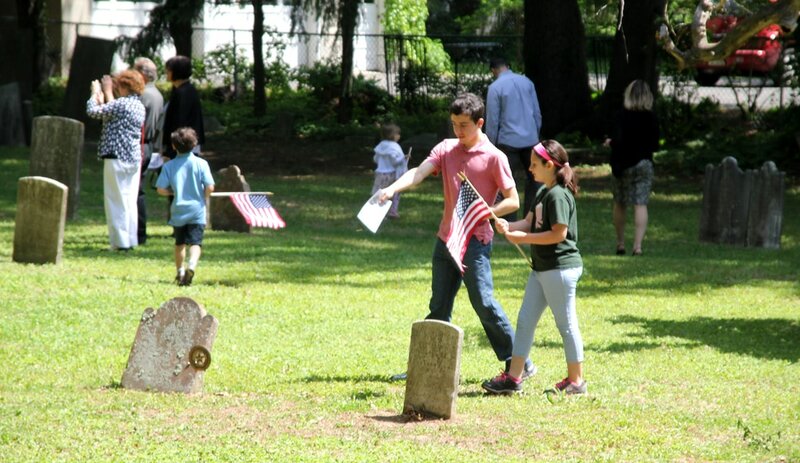 Each known grave site is now marked with a “US Revolutionary War Veteran” marker (the one at right). A booklet listing all the men with as much information as we could find regarding their service and their lives has been produced for the public, our donors, local schools, and libraries. Copies are available at the Reformed Church and our chapter house while supplies last. Click here to download a digital version in .pdf format. A bronze Daughters of the American Revolution plaque was dedicated in May, 2016. Thank you to everyone who donated to and assisted with this project! 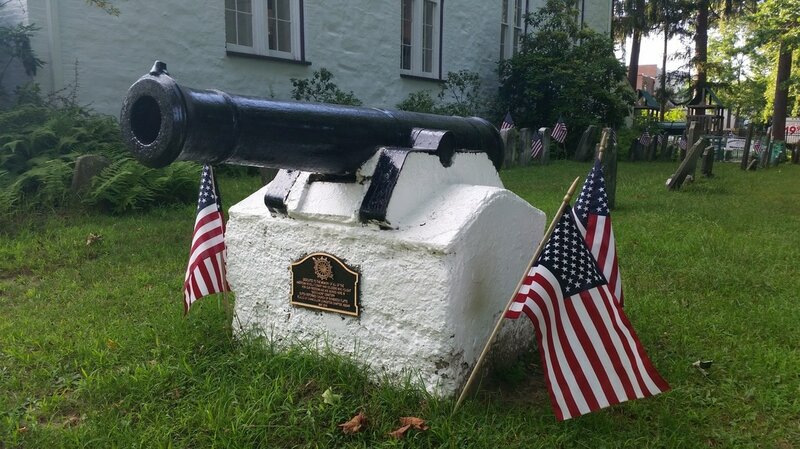 Below is a list of the men who are considered "patriots", having either taken up arms or contributed in some way to the cause of American freedom and who are buried in the Reformed Church Cemetery in Rhinebeck. A good handful of these men do not have surviving gravemarkers of any kind. See the booklet for more information.